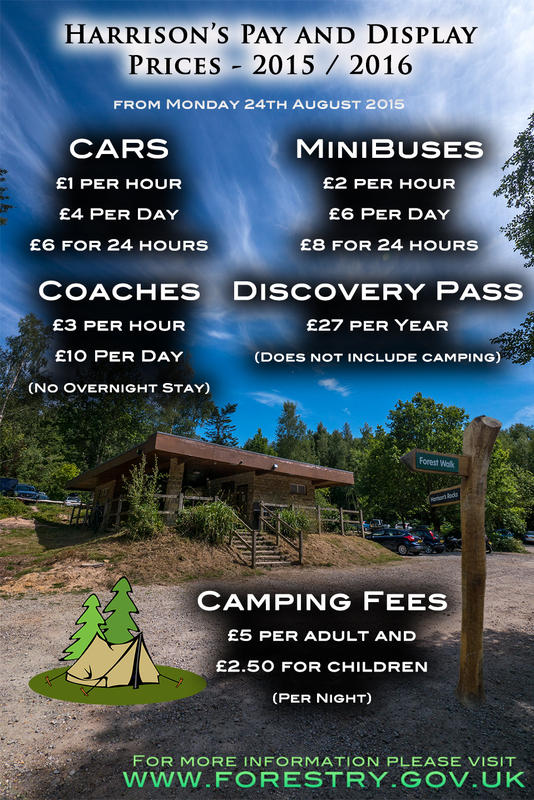 The Forestry Commission will be starting Pay & Display parking and camping at Birchden Woods / Harrison's Rocks car park from Monday 24th August 2015. Initially payments will have to be made with cash, but they hope to upgrade the machine to take card payments by the autumn. All the proceeds from the fees will go towards keeping the facilities up and running. For anymore updates relating to the car park and facilities, please visit the Forestry Commission website. Discovery Passes can be purchased for £27 for the year for frequent visitors. This will include free car parking and local discounts. Please see the Forestry Commission website for more details.